Spring, Texas – September 3rd, 2018: The Labor Day festivities may have to be pushed indoors as showers and thunderstorms continue to develop over our area. 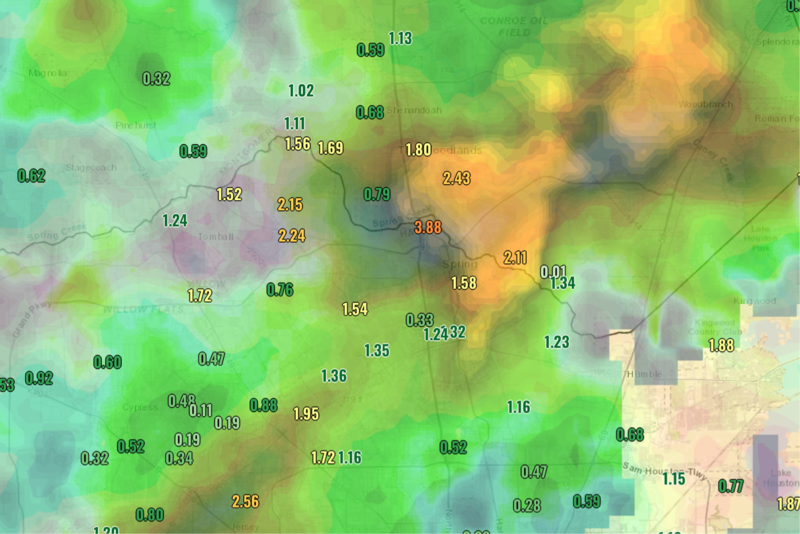 Overall, most of Spring has received about an inch of rain in the last 24 hours, however, there are some isolated areas that have seen much more. A FLASH FLOOD WATCH remains in effect until Midnight tonight. Bands of rain are forecast to move over Spring for the majority of the day today, with breaks in between bands. Skys should clear out around mid-afternoon/evening tonight. The is a chance for some minor street flooding and ponding on the roadways, however, creek and bayou flooding potential is low due to extremely dry grounds. We will provide updates as necessary throughout the day. Happy Labor Day!